Fifty percent of teens surveyed by Piper Jaffray in its most recent semi-annual Taking Stock With Teens report said that Amazon was their favorite website. The survey asked questions about the preferences and buying patterns of more than 8,000 teens, noting that teens are increasingly joining the online shopping revolution. The results were nothing but good news for Amazon, who seems to have the youngest buying generation on lock. It's also ten times as high as the second-most-popular answer, Nike, which doesn't compete with Amazon on general merchandise shopping. 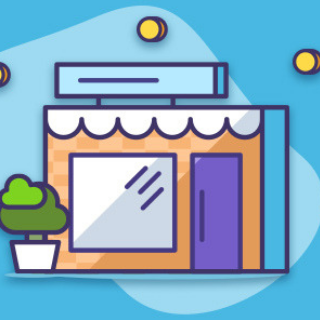 CNBC recently released a headline with claims that "online shopping officially overtakes brick-and-mortar retail for the first time ever." The headline was updated (twice), meaning physical retail is still in the running - under the concept of convergence. Online sales from brick-and-mortar retailers were more than half that of pure-play e-commerce retailers in 2017. 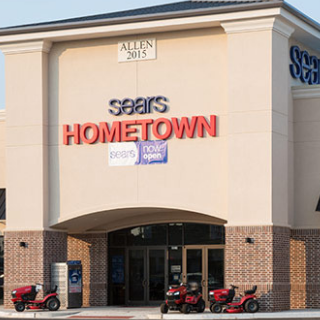 Eddie Lampert, who now owns and controls what’s left of Sears and Kmart through his newly formed Transform Holdco, has made an offer to buy the shares of the Sears Hometown and Outlet company that he doesn’t already own. Lampert, through his ESL hedge fund, still owns about 60% of the stock of Hometown, and his offer is to buy the rest for $2.25 a share, or about $21 million in total. The retail apocalypse is far from over. In 2018, Amazon added $35 billion in retail sales across America — the equivalent of roughly 7,700 stores. Analysts predict that e-commerce penetration is set to rise to 25% by 2026, up from its current position of 16% of total retail sales, potentially leading to the closure of roughly 75,000 retail stores, (excluding food). 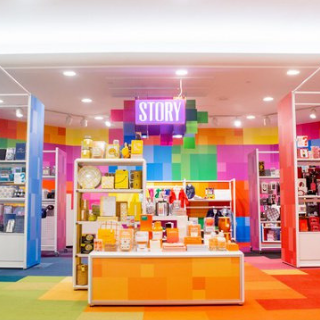 Macy's has incorporated its Story retail concept into 36 stores in 15 states. The concept features a rotating set of merchandise based on a theme, which for the national debut is "Color." There will be five each in California and New York; four in New Jersey; three each in Florida, Ohio and Texas; two each in Georgia, Illinois, Pennsylvania and Washington; and one in Indiana, Kentucky, Minnesota, Nevada and, Washington D.C.
Marc Jacobs has married his longtime beau Charly “Char” Defrancesco. The star-studded ceremony was held at the Seagram Building in Manhattan. Their guest list was a compilation of who’s who of the fashion industry. Finally, all the guests left with a hoodie designed by Scott Campbell that features two otters holding hands, with the words “don’t float away” written underneath. Congrats!